KARACHI: Adviser to Chief Minister Sindh on Information, Law and Anti-corruption Barrister Murtaza Wahab on Wednesday visited Sindh Legal Advisory Call Center and appreciated the service aimed at providing legal help to people, ARY News reported. 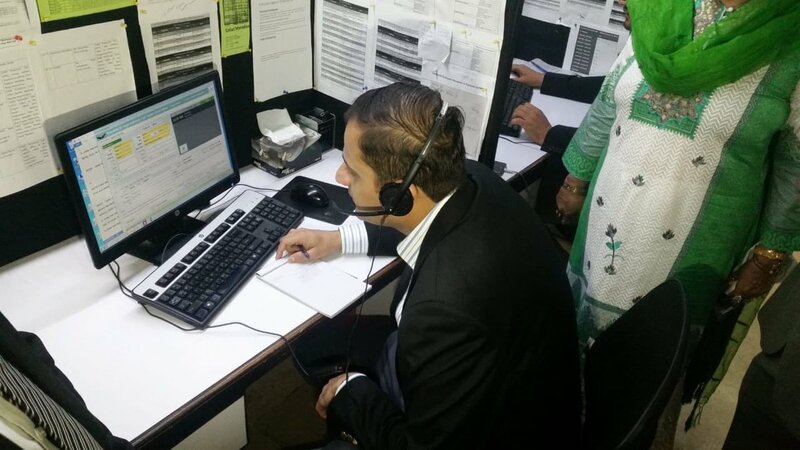 According to details, Murtaza Wahab, during his visit, himself received public calls and provided them legal advice. The provincial adviser, on the occasion, stated that it was a gift to people across the country by Sindh government adding that any person across the Pakistan could call the SLACC free of cost on toll free no. 0800-70806 for seeking legal advice on civil , criminal , public service related matters. He said it is commendable that any body can seek legal advice and understand legal remedies available where a citizen is not able access their socio -economic rights such as water , electricity and other matters free of cost. SLACC was launched under a project ” the Legal Empowerment of People Programme in Sindh ” ( LEPPS) in public private partnership in collaboration with Legal Aid Society a nonprofit organization run under the chair of Honorable Justice (R) Nasir Aslam Zahid. Barrister Murtaza Wahab was impressed to learn that a Pakistani women residing in Saudi Arabia was given legal aid leading to resolution of her problem, besides resolving a case of underage girl’s marriage issue. The CM’s adviser was informed that SLACC was working since 2014 and it had received 150,000 calls from all over Pakistan and was easily accessible to any citizen in the country . Later in a crowded media, talk Barrister Murtaza Wahab said that getting justice was primary right of people and added that Sindh government has established an impressive legal assistance call center under public private partnership. He added that Sindh government will continue to support this center so that poor and marginalized segment of society could be provided justice.